Located in Old Harbor, Alaska, on Kodiak Island. 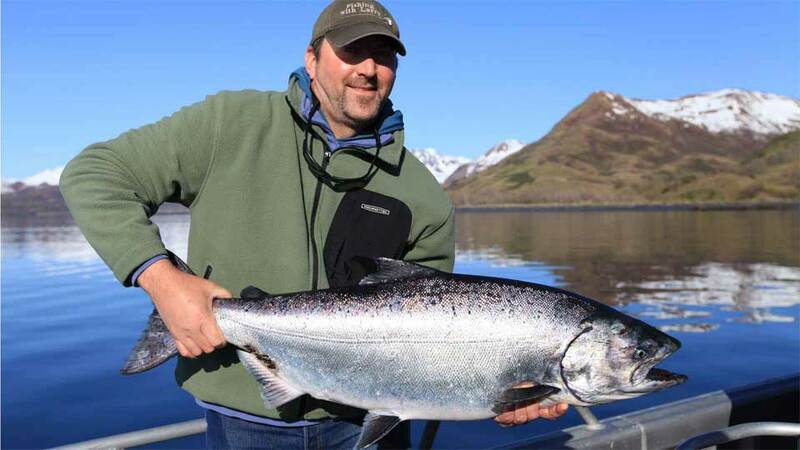 Fish the protected waters of Sitkalidak Strait off Kodiak Island for giant king salmon up to 80-pounds. 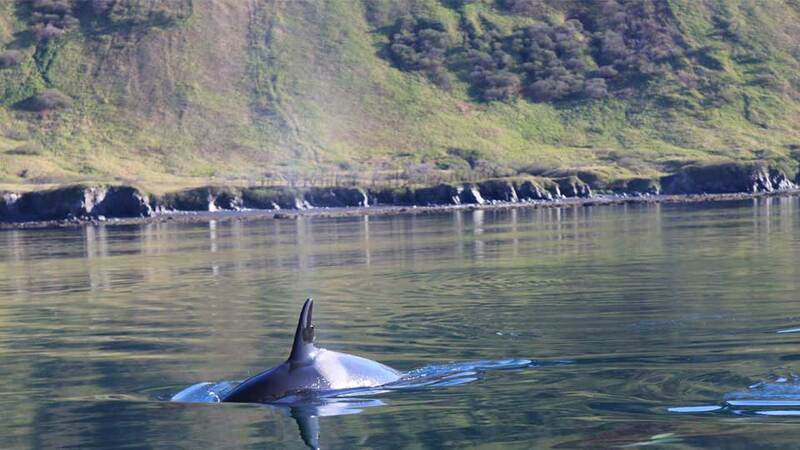 Most of the fishing takes place in the protected waters of Sitkalidak Strait and the deep bays that make up Kodiak Island. 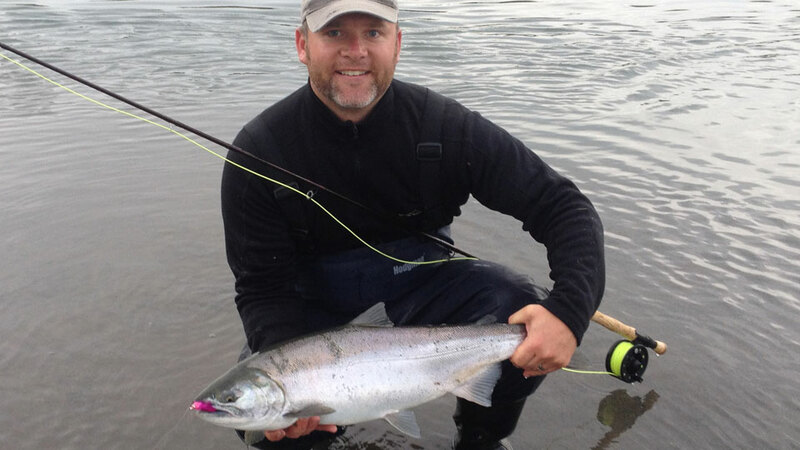 Most of the salmon fishing is done by trolling. The waters are rich in candlefish, herring, and other baitfish, which creates a very productive area for halibut, kings, and silvers. 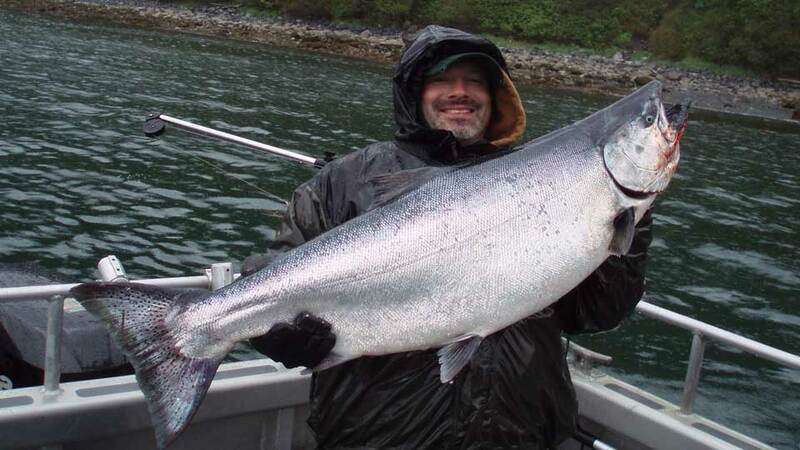 They troll for 20-to 75-pound king salmon and 10-to 22-pound silver salmon with downriggers and light tackle. Kings start showing up around the first of May and can be caught through the middle of July. Daily limit of two kings with no annual limit for this area (2018). Silvers arrive in late July. Daily limit of five silvers with no annual limit (2018). Abundant saltwater bottomfish species include yelloweye rockfish, black rockfish, gray cod, and lingcod. Click here for our Ocean View You-Tube video. Halibut are available all year, with peak halibut fishing from June 1 through September 10. For Kodiak Island, there is a four halibut per person limit per calendar year(2018). 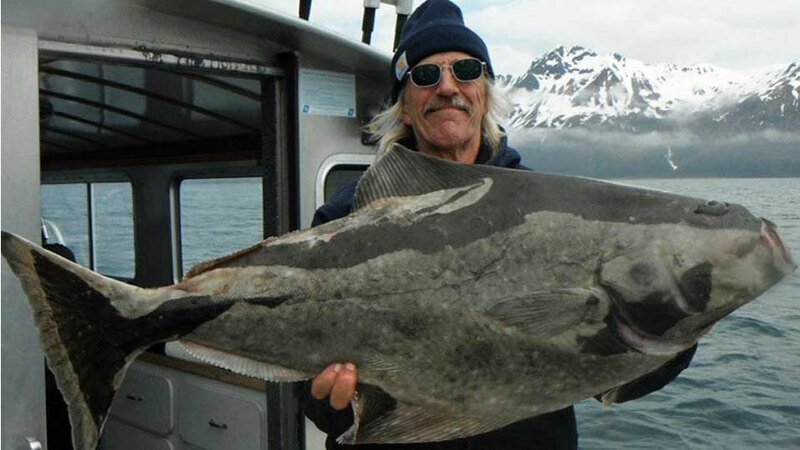 If catching two halibut in one day, one must be under 28," and the other can be any size. There is no halibut fishing on Wednesdays. The halibut, rockfish, and lingcod are fished by bottom jigging in depths from 60 to 350 feet. 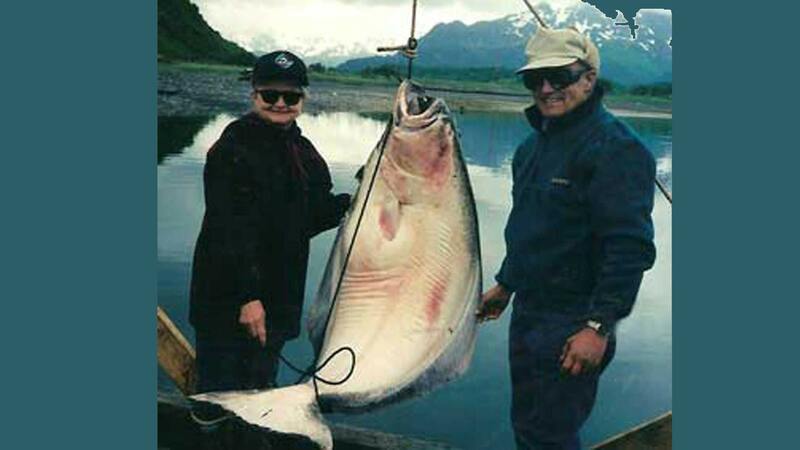 The Sitkalidak area has some of Alaska’s best halibut fishing with all sizes available. 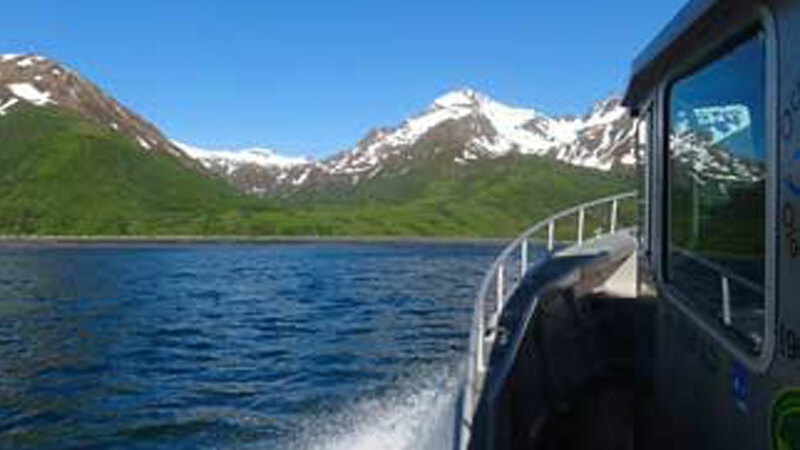 Boats: The Lodge's U.S.G.A. licensed charter boat captains use a Norsco Marine BW-2800 with a deep V-hull and a 30-foot catamaran. These boats are very stable with single-level decks, central rigging stations and enclosed cabins with a head (bathroom). They are equipped with full marine electronics and four electric downriggers. Ocean View Lodge is comfortable and modern with quick access to the beach. There are eight rooms with private baths. 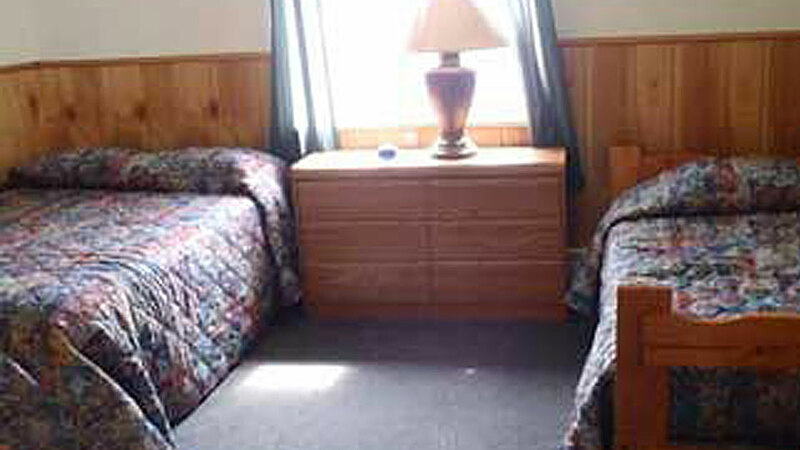 The rooms are basic with a single bed and a double bed. The large common room has several long couches, a TV, and movies, plus a beautiful view of the Strait. There is no Wi-Fi access or phone service at the lodge. During the spring, bald eagles roost near the lodge and frequently fly by the windows of the common room. The lodge is located right next to the road through Old Harbor, but it is not noisy since there is minimal traffic. Meals: Cooked-to-order breakfasts. The chef packs your lunch each morning, and water, sodas, and snacks are kept in a cooler on the boats. Hearty, home-cooked dinners are served buffet-style. Entrees feature fresh fish, clams, steaks, chicken, plus side salads and bread. At your request, they’ll cook your day’s catch. Let them know of any special dietary needs you have, and you’ll be taken care of. You’ll fly from Anchorage to Kodiak City. 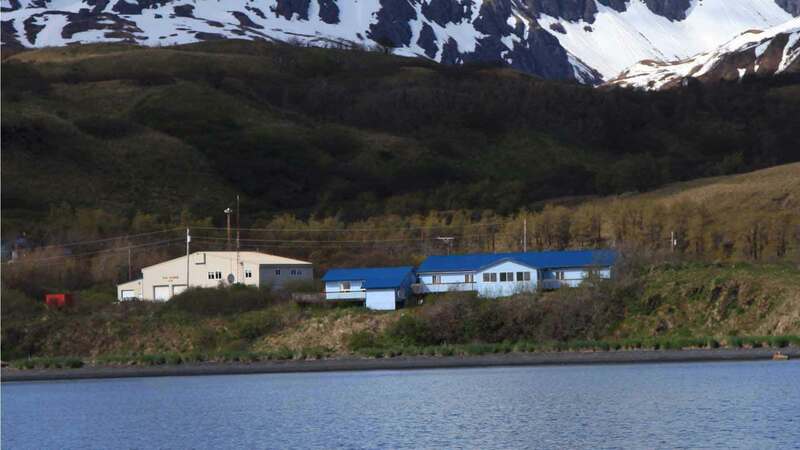 From Kodiak City, you'll take an Island Air flight to the village of Old Harbor. Then, you'll be driven a short distance to the Lodge. 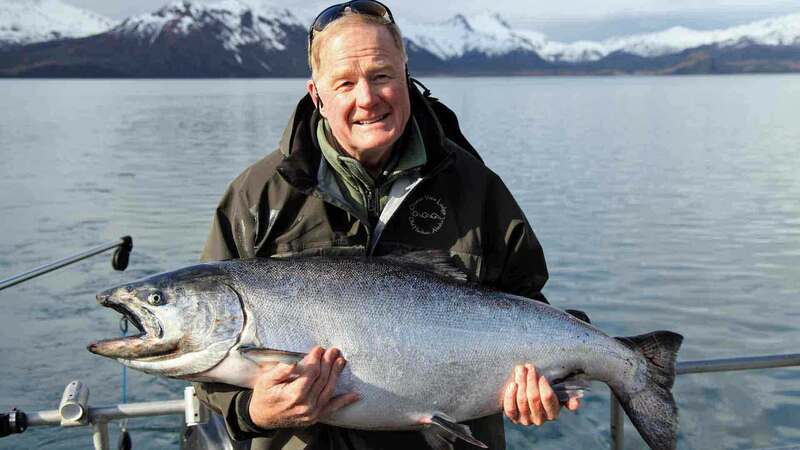 Lodging, meals at the lodge, guided fishing, use of all saltwater fishing tackle, raingear and boots; and up to 100-pounds of vacuum-packed fish care. Airfare, first or last night’s stay in Kodiak City (if needed based on flight schedule), gratuities, liquor, beer or wine (you are welcome to bring your own), hip boots, chest waders, fly rods, flies, casting rods, fishing license, King salmon stamp (if fishing for kings), and excess baggage charges. Note: There is a $100.00 land use fee if you fish on Old Harbor Native Corporation land. 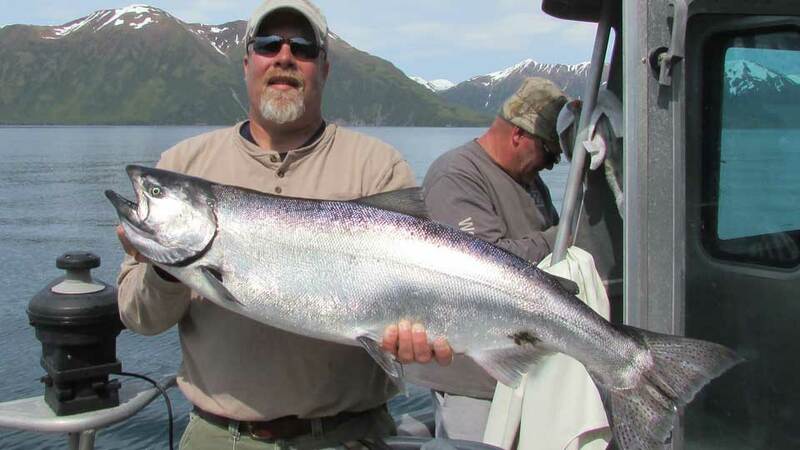 Ocean View Lodge vacuum packs and processes up to 100-pounds of fish per angler. (Two 50-pound wetlock boxes.) 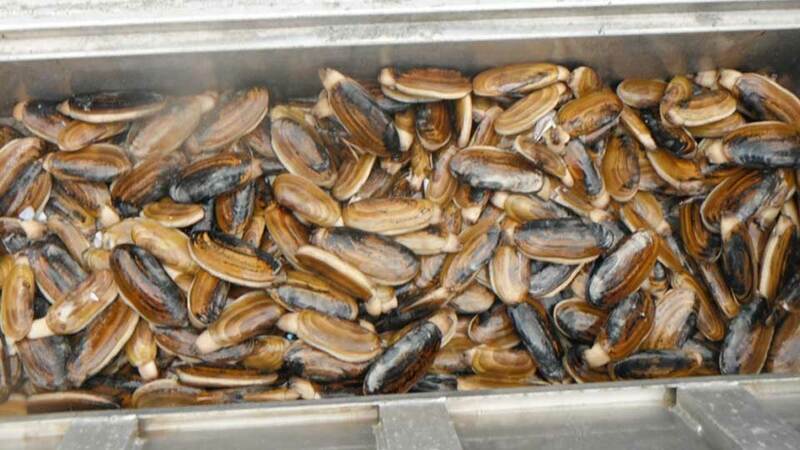 Beyond the first 100-pounds, fish care/processing is $100.00 per 50-pound box. Five silvers per day, no annual limit. Guy Jr.